CURRENTLY ACCEPTING NEW PATIENTS - Contact us to schedule an appointment! Will Certain Foods Bolster Brain Health After Stroke? THURSDAY, Jan. 25, 2018 (HealthDay News) — Stroke survivors who eat plenty of leafy greens, fish and other healthy foods may help preserve their brain function as time goes on, a preliminary study suggests. Researchers found the benefits among stroke survivors who most closely followed the principles of the so-called “MIND” diet. It pulls together elements from two eating plans known to improve heart health: the traditional Mediterranean diet and the “DASH” diet, for controlling high blood pressure. It also makes specific recommendations that are based on research into nutrition and brain health, said senior researcher Martha Clare Morris, a professor at Rush University Medical Center in Chicago. 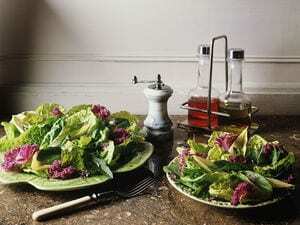 For example, she said, the diet puts more value on vegetables — especially leafy greens — than fruit. And when people do eat fruit, the advice is to go heavy on berries, which studies have linked to less cognitive decline. Cognitive decline refers to problems with memory, judgment and other thinking skills that can crop up as people age. Stroke survivors are at heightened risk of that kind of decline, as well as full-blown dementia. Their risk of dementia is roughly twice the norm, said Dr. Carolyn Brockington, who directs the stroke center at Mount Sinai St. Luke’s in New York City. Strokes occur when blood flow to the brain is suddenly reduced, Brockington explained. That can leave people with brain damage that impairs their thinking. Plus, stroke patients often have underlying conditions, like high blood pressure and heart disease, that are linked to a higher dementia risk. So it’s important to find ways to help preserve their brain function, said Brockington, who was not involved in the new study. For this study, Morris — who created the MIND diet — and her team looked at the relationship between stroke survivors’ dietary habits and their odds of mental decline over the next five years. They tracked 106 survivors, breaking them into three groups based on how well they stuck with MIND-like eating habits. The top one-third were those who most regularly ate foods like leafy greens, berries, nuts, olive oil, fish, whole grains and beans. In the end, those people had only half the rate of cognitive decline seen in the one-third of survivors whose diets were the least MIND-like. The findings were to be presented Thursday at the American Stroke Association’s annual meeting in Los Angeles. Research presented at meetings is considered preliminary until published in a peer-reviewed journal. The study does not prove the MIND diet actually protects stroke survivors’ brains, it only shows an association, Morris said. The study tracked people’s usual habits; it was not a clinical trial that randomly assigned people to follow the MIND diet or not. But such trials are underway, Morris said. One is focusing on older adults with a family history of dementia. Another, in the design stage, will follow stroke survivors. Morris said the foods emphasized in the MIND plan may not only be generally healthy, but specifically good for the brain. In a recent study, Morris found that older adults who ate one serving of leafy greens each day showed slower brain aging, compared with those who rarely ate them. It was as if they’d shaved 11 years off their age — as far as their brain function was concerned, she said. Leafy greens (such as spinach, kale and collard greens) contain nutrients that appear to support brain function, Morris explained. They include vitamin K, folate, beta-carotene and lutein. For now, Morris said stroke survivors can take heart that it’s never too late to eat healthfully. “But the brain has a great capacity for repair,” she said: The healthy brain tissue surrounding the stroke-damaged area can try to make “new connections” to compensate. “So an important message is, you can improve after a stroke,” Brockington said. The study was funded by the U.S. National Institute on Aging. The American Stroke Association has nutrition tips for stroke survivors. The Bigger the Brain, the Bigger the Tumor Risk? We'll care for you like family! In addition to delivering high quality Primary Health Care, we take a genuine and heartfelt interest in the lives of our patients. We'll get to know you by name. In addition to routine sports and work related physicals, we offer a medical weight management program and perform a variety of women's health services.